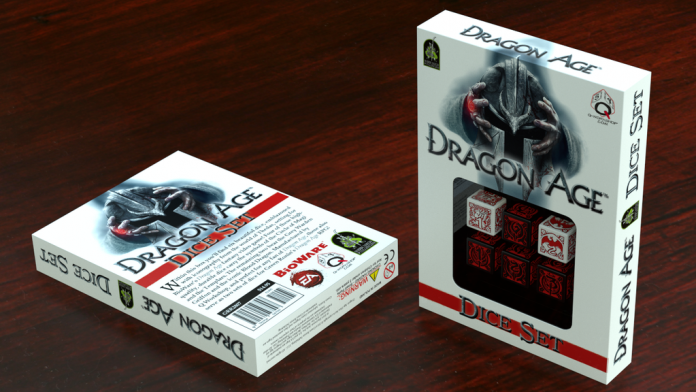 The packs contains six dices emblazoned with iconography from the world of Thedas. Four of the dices carry the legendary symbols of the Circle of Magic and the Templars. The remaining two bear the Grey Warden Griffon and the iconic Blood Dragon.